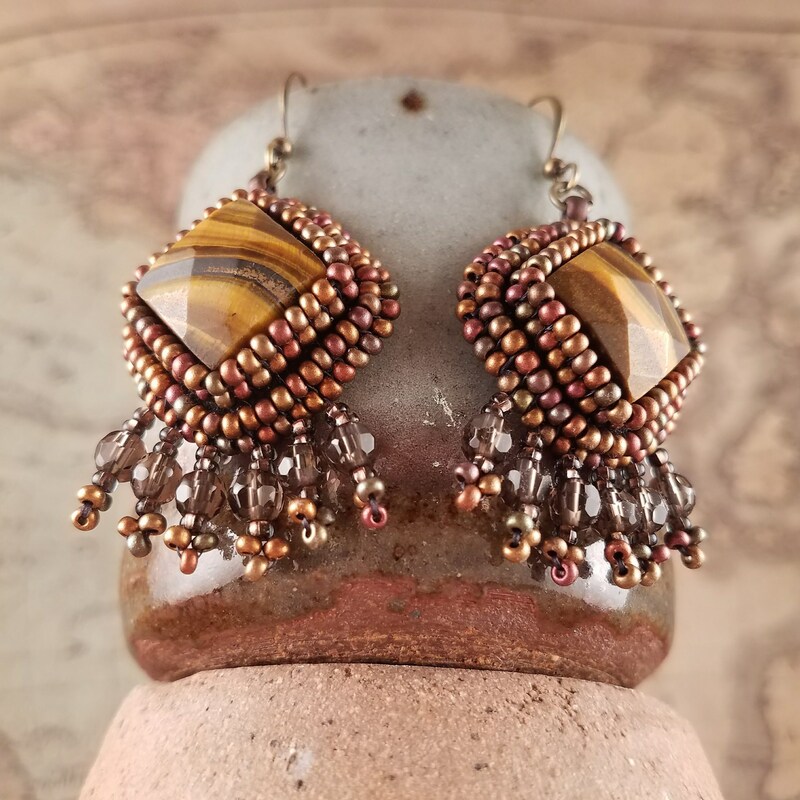 Tiger eye and smokey quartz fringe earrings. 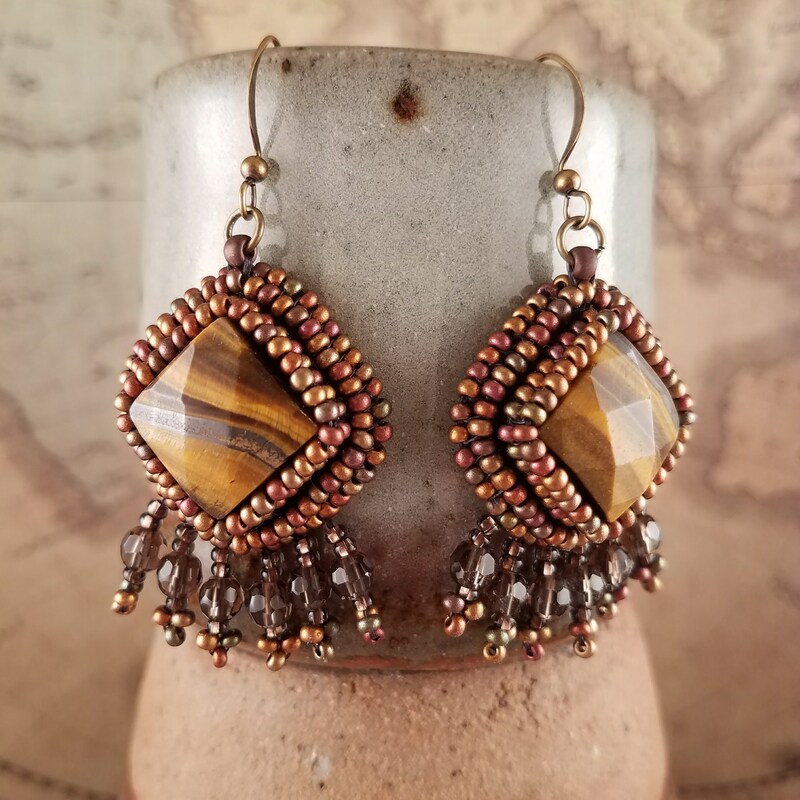 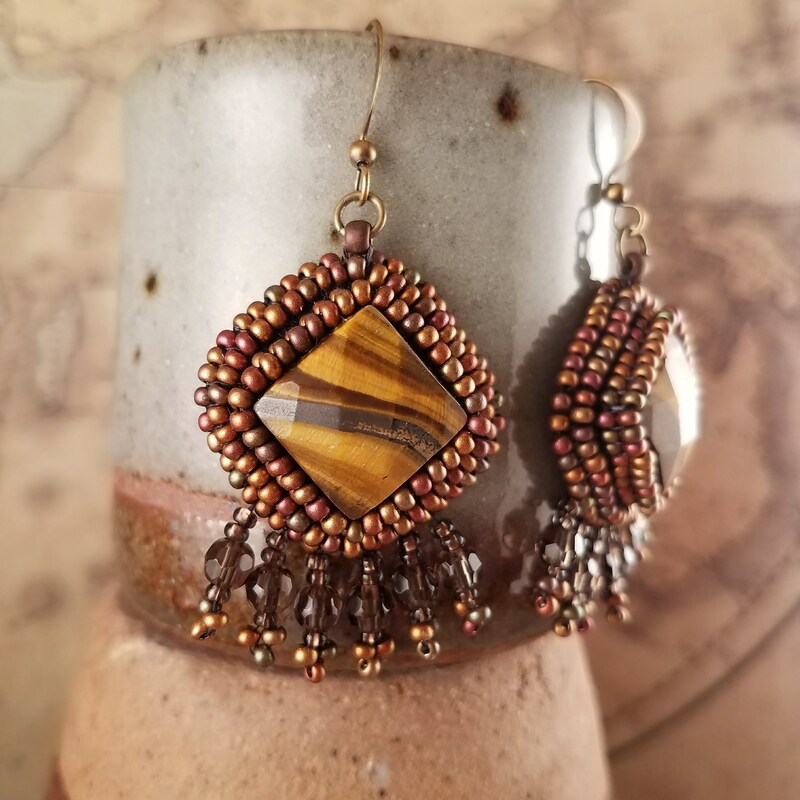 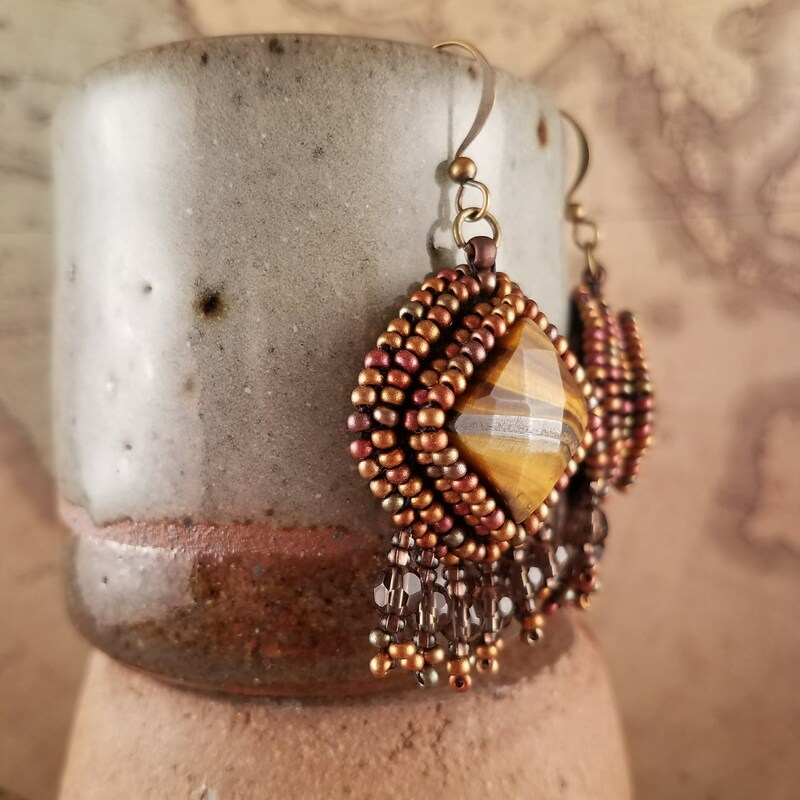 The facets on the tigers eye squares add a little extra flare to these safari style inspired earrings. 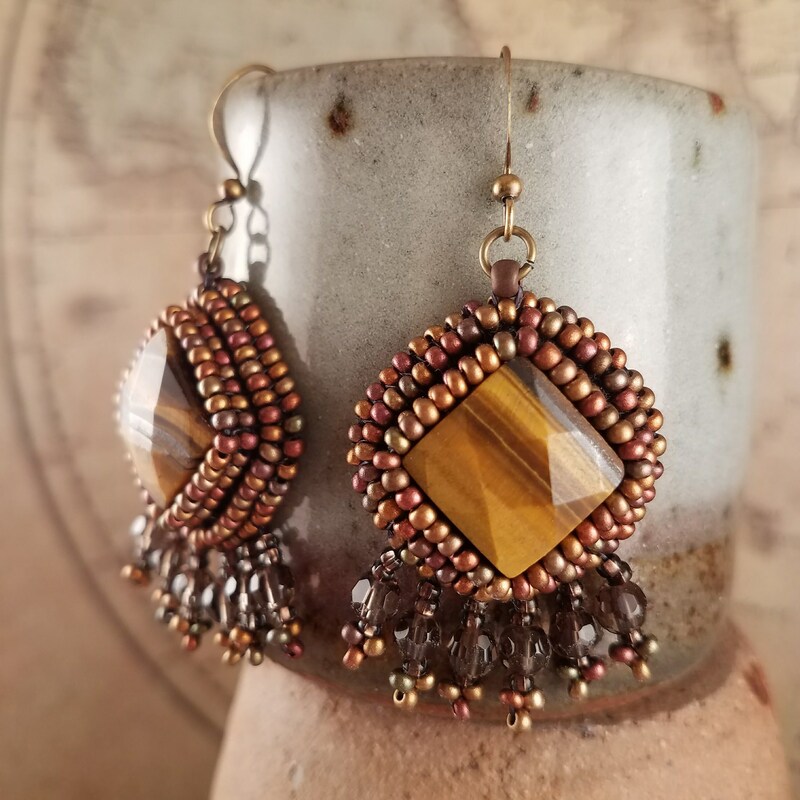 Bead embroidered with Czech glass bronze seed beads.